This photograph was taken in the toilets when I worked at Bramah’s at Halfway. Audrey Whiteley is at the back – she lived near the West End Pub I think. 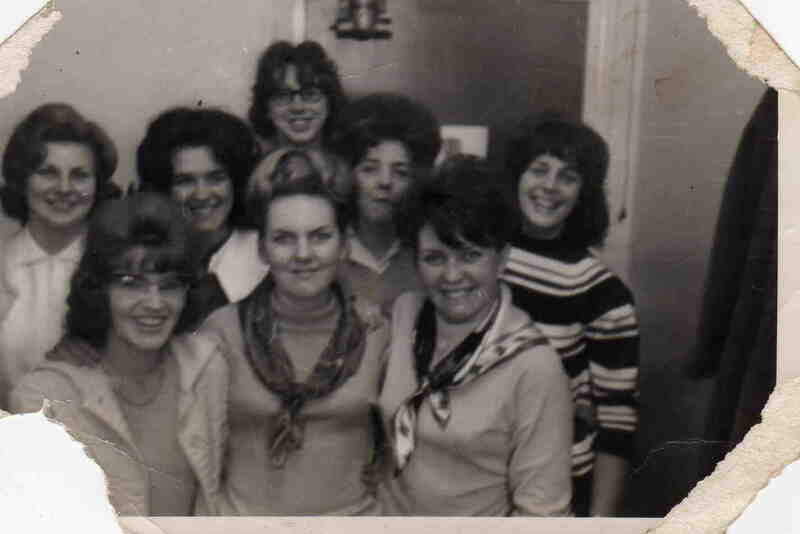 I’m on the middle row from the left (Janet Morgan – nee Higginbottom). I think the girl next me was called Pam. Not sure of the others. In the middle at the front I think was Pat and Janis.